What type of metal are your medals made of? All of our medals are available in sterling silver. We also offer a few select medals in bronze. How are your medals packaged? Do you offer gift wrapping? 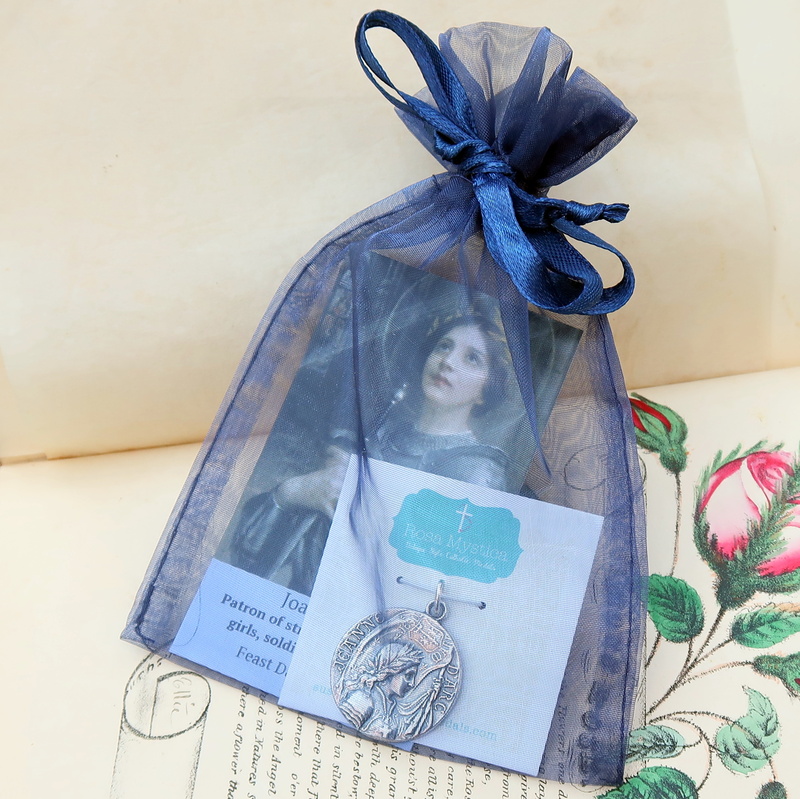 Each purchased medal is packaged in an organza gift bag with a matching holy card so it's ready to give as a present to someone else or yourself. Any medal can be returned within two weeks of purchase for any reason. We will refund the full purchase price of the medal but not shipping. Return shipping expenses are the buyer’s responsibility. We ship via USPS first class mail within 1 to 2 business days unless otherwise noted. We will provide a tracking number, and we offer Priority Mail (within the US) as a shipping upgrade option. We do not offer overnight shipping. For overseas orders we ship via International First Class. Where are your medals made? All of our medals are made in the USA, in the proud state of Georgia. How many different medals do you offer? 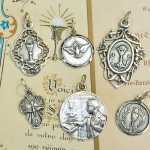 At this time we offer over 175+ unique replicas of antique Catholic medals. We are always looking for and adding new medals to our collection. Are your medals mass produced? No, our medals are not mass produced. 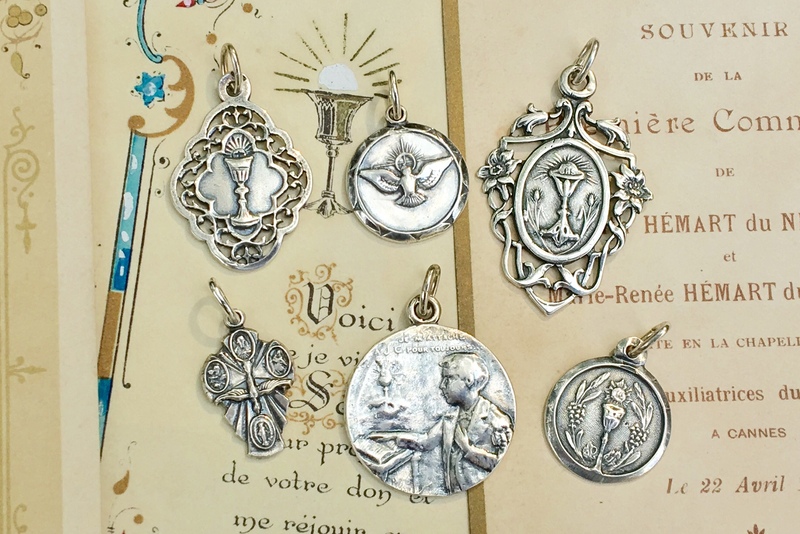 We find original antique medals and have them recast in sterling silver using the lost wax casting method. 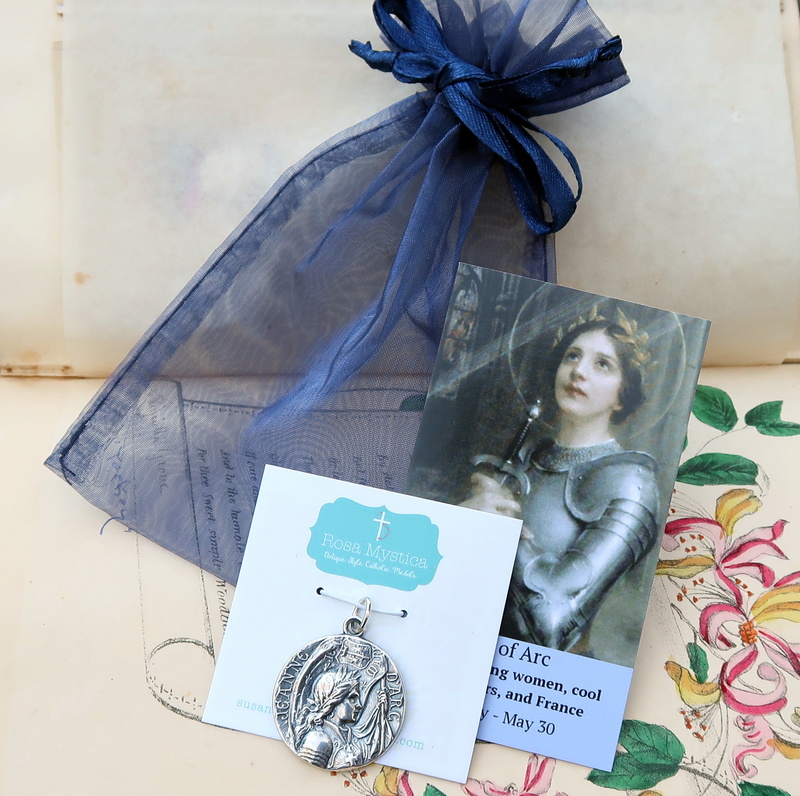 We pride ourselves on offering unique and beautiful replicas of antique Catholic medals that you probably won’t find anywhere else. Many of our medals are from Europe and will include inscriptions in French, Spanish, Latin or Portuguese. Are you able to add engravings to a medal? We do not offer this service; however, a jeweler could do this for you. Do you sell chains with your medals? Yes, we offer wholesale discounts to artists and retail merchants. Please contact us if you are interested in finding out more. As we don't mass produce our medals, certain popular pieces from our collection sell out from time to time. It takes about two weeks to replenish our stock. In the meantime, feel free to place the order and we will ship once it is in stock.